Build of 220m² on a 1800m² plot. 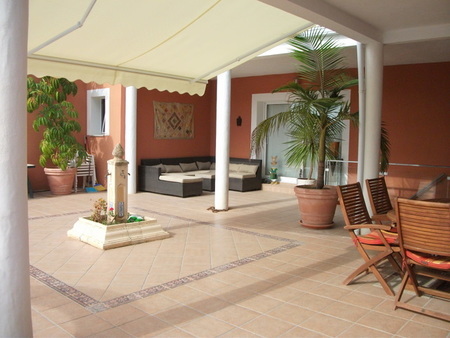 Detached villa built in 2002 located in the Montgo/Valls area of Javea. Walking distance to supermarket. 4 bedrooms, 3 bathrooms and guest w.c. Large living/dining room, modern fitted kitchen. Master suite with ensuite bathroom and large balcony. 4th bedroom currently used as office. Gas central heating and air conditioning. 3 separate entrances, garage and carport. 10×5m Pool with BBQ terracing and lawns. Underbuild to develop. Solar heated water. Not the Villa you were looking for? view all our Villas for sale in Javea now to find your dream property.